Customize your trip with a local travel expert in Singapore. 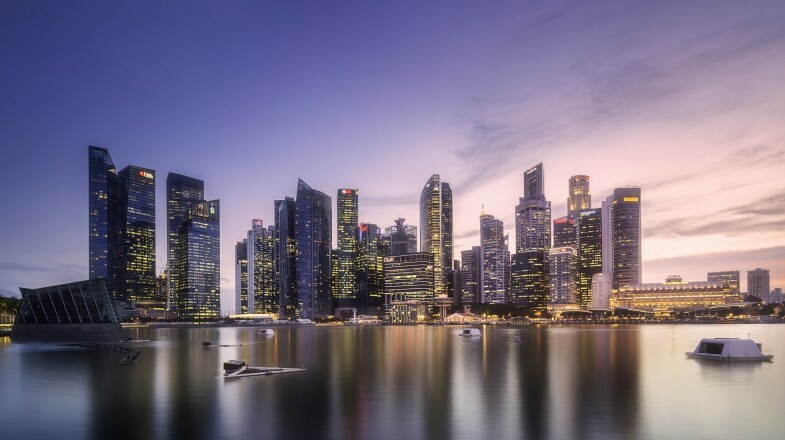 Located between Malaysia and Indonesia (around 137 kilometres north of the equator), Singapore comprises of a main island and around 50 smaller islets. Previously the area was a colonial British outpost, before gaining independence in 1963. Now fully globalised, with a AAA rating from all credit rating agencies, one of the world’s busiest ports, and one of the highest average qualities of life, post-independence Singapore has developed incredibly quickly and is now regarded, along with Hong Kong, South Korea, and Taiwan, as one of the Four Asian Tigers – nations notable for maintaining exceptionally high economic growth. There’s plenty to see and do in Singapore, so to help you spend your time efficiently, we’ve compiled a list of the top ten best things to do in Singapore. If you have an interest in Singapore, you’ve probably seen the Gardens by the Bay’s famous Supertrees – unique structures up to 16 storeys high that come to life at night with exhilarating light and sound displays. But Gardens by the Bay offers much more than these incredible trees. 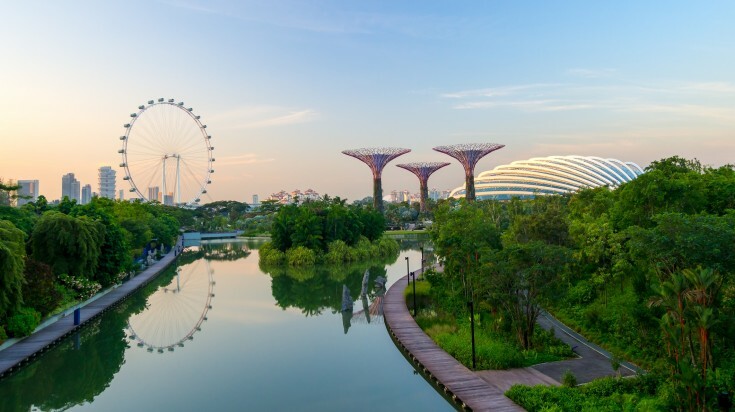 A futuristic park, complete with a skywalk, huge seashell shaped glasshouses, and hundreds of species of trees and plants, Gardens by the Bay offers visitors a very different garden experience. Interesting Fact: Gardens by the Bay is an integral part of the Singaporean governments plan to transform Singapore into a “city in a garden”. The aim of this transformation is to improve Singaporean’s quality of life with greenery and flora. Singapore has a rich cultural and historical heritage, and, with so much to see, arriving in Singapore can be a little overwhelming. With that in mind, one of the best ways to find your footing in Singapore is to enjoy one of the many sightseeing tours. These will take you round most of the biggest attractions and, since most allow you to hop on and off the bus, you’ll get to experience a lot of what Singapore has to offer in a relatively short period of time. 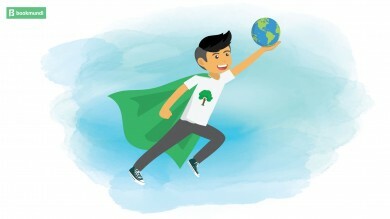 Expect to see the Suntec City shopping mall, the famous statue of Singapore’s founder Sir Stamford Raffles, the Singapore River, the botanical gardens, and even the Singapore Crocodilarium. Interesting Fact: The majority of Singapore’s population, around 75 percent, is made up of Chinese. The remainder are largely Malays and Indians. By 2030 it is predicted that immigrants will make up nearly 50 percent of the population. 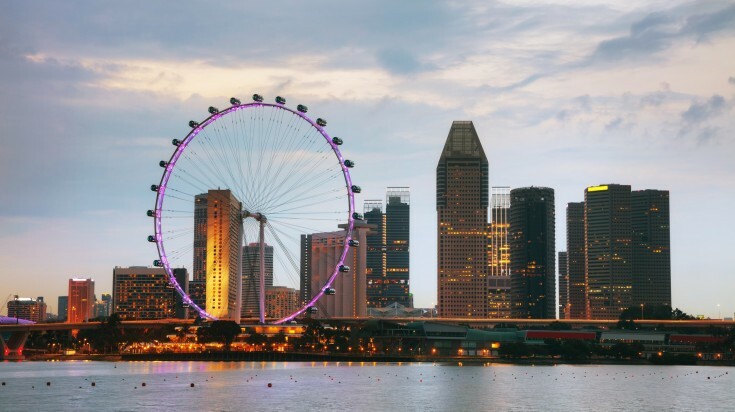 An incredible feat of engineering and an iconic piece of architecture in its own right, the Singapore Flyer is a gigantic Ferris wheel that stands over 40 storeys (542 ft.) tall. Taking around thirty minutes to complete a full rotation, riders experience incredible views of the entire island-city and beyond. The Singapore Flyer opened in 2008, and took around two and a half years to construct. Each of its capsules is able to accommodate 20 passengers and are all fully air-conditioned. Interesting Fact: Until March 2014 the Singapore Flyer was the tallest Ferris wheel in the world. However the High Roller, which opened in Last Vegas on 31 March 2014, is now just 2.6 metres taller. Singapore played an important role in World War 2, and witnessed much bloodshed and despair. From the abject horrors of the prisoner of war camps (where it is estimated that more Australian soldiers perished than on the battlefield), to the site of the Sook Ching Massacre, the Singapore Changi World War 2 trail and museum coach tour gives an interesting and moving insight into the more disturbing aspects of Singapore’s history. Interesting Fact: The Battle of Singapore began when the Empire of Japan invaded Singapore on 8 February 1942. The fighting lasted a mere seven days, before Japan captured Singapore and British forces were forced to retreat. 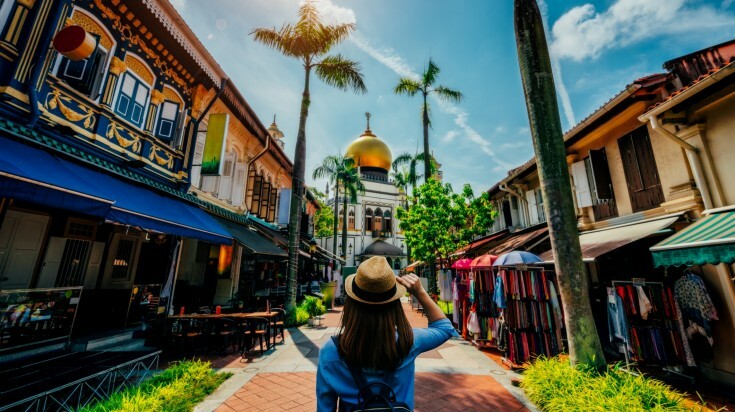 Visit Kampong Glam, one of Singapore’s most distinctive districts, and discover a place where history comes alive and Islamic and Malay folk traditions merge. You’ll learn about Singapore’s interesting and troubled history – including how Singapore was sold to the British for 60,000 Spanish dollars – and gain an insight into how the city’s indigenous people (who still live and prosper in the area) live today. The tour stops at the old Royal Palace the Sultan Mosque, and the Tombs of the Malayan Princes, and paints a vivid picture of what the old Singapore was like – a colourful place ruled by sultans, full of exotic perfumes and medicines, and mysterious legends. Interesting Fact: The second part of the name Kampong Glam is thought to derive from the cajeput tree, which is called “gelam” in Malay. Kampong simply means village. Opened in 1995 by Singapore’s Minister Mentor Lee Kaun Yew, the Singapore National Orchid Garden, located within the Singapore Botanic Gardens, houses over 60,000 orchid plants. The orchids consist of over 1,000 species and more than 2,000 hybrids. The garden has been designed in line with the four seasons, with the spring zone showcasing bright yellows, gold, and creams; the summer zone, strong reds and pinks; the autumn zone, earthy and mature colours; and the winter zone cool whites and blues. Interesting Fact: It was when Professor Eric Holltum became Director of the Gardens that the massive orchid program was instigated. Since then the National Orchid Garden is one of the world’s most prolific orchid cultivation programs. Explore the wonders of science at the Science Centre Singapore. With over 1,000 interactive exhibits, there’s too much here to see in a single day. Children will love the water maze, a treacherous puzzle made up of water jets, and adults will enjoy learning about a wide range of scientific phenomena such a Dolly the cloned sheep, the mysteries of deeps space, and the marvels of fire. Interesting Fact: Science Centre Singapore contains one of the few working observatories operating near the equator. The observatory opens to the general public every Friday evening for Stargazing sessions. 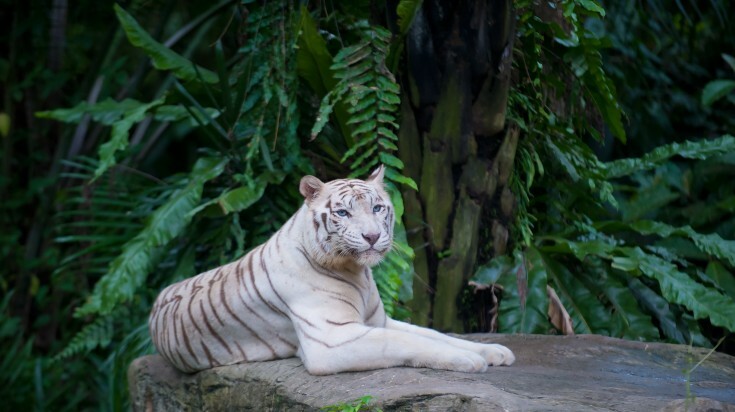 The Singapore Zoo occupies a whopping 28 hectares, and is home to some 315 species (of which 16 percent are considered to be endangered). The zoo has been specifically designed to replicate a naturalistic environment, with the animals occupying “open” exhibits with hidden barriers, moats, and glass separating visitors from the animals. The zoo attracts around 1.6 million visitors each year, many of whom come to see the orang-utan colony, which is the largest in the world. Interesting Fact: In 1977 primatologist Dr Francine Neago lived inside a cage with 18 orang-utans for six months in order to study their behaviour. One of the leading animal conservation and research centres in Asia, the Singapore Night Safari gives visitors a unique glimpse into the nocturnal activities of animals. With more than 59 exhibits, and more than 2,500 animals – including rare Himalayan griffon vultures, greater one-horned rhinoceroses, wildebeests, and gazelles – the park is a fantastic family attraction. Interesting Fact: Unlike traditional nocturnal zoos, which reverse the day-night cycle of the animals, the Night Safari is only open at night. Asia’s second Universal Studios theme park (the first belongs to Japan) and Southeast Asia’s first, Universal Studios Singapore covers an area of 20 ha and gives visitors the change to ride some 21 rides, including six roller coasters and two water rides. The park consists of several themed zones, including the Lost World, Ancient Egypt, New York, Hollywood, Madagascar, and the magical Far Far Away. With plenty to keep the whole family occupied, Universal Studios Singapore is an exciting, fun-filled day out. Interesting Fact: Universal Studios Singapore is home to the world’s tallest “duelling” rollercoaster, Battlestar Galactica: Human vs Cyclon, which reaches an impressive 139 ft.
Singapore offers visitors an abundance of things to keep them entertained, and there’s far more to the city than what we’ve had space to include here. But visit our top ten and you’ll get a real insight into what Singapore is all about.